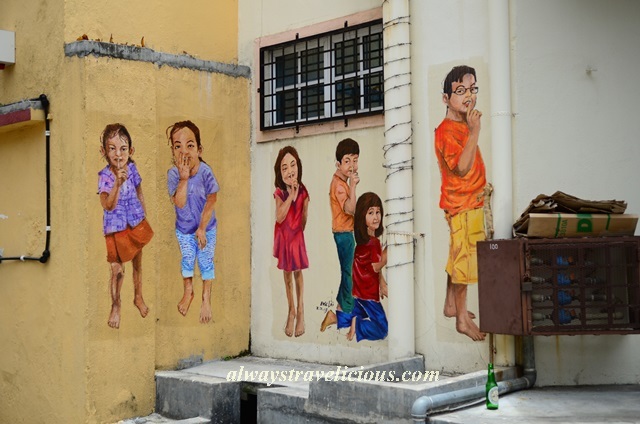 Ipoh Murals @ Malaysia - Always Travelicious ! I first saw this lion dance mural during Chinese New Year this year and thought how wonderful it was that Ipoh is going to have its own mural street! The murals are located on a little lane off Jalan Dato Onn Jaafar, on the back walls of a row of shoplot. The murals have three remarkable themes of cultural arts, child’s play and traditional occupation. The weathering walls provide an unique medium for every piece of art, making every piece of mural one and only. The spatial use for this hide and seek mural is superb! One child plays “ghost” whereas the others hide in different corners, all hush-hush and giggling away! A frolic in the waterfalls is so vivid where the mottled walls give a natural rocky appearance and sprouting leaves mimic the lush forests of Malaysia. The child’s play murals brought back a lot of childhood memories. I remember this game when I was a kid ! The eagle and the chicks! The bubble-blowing game, easily achieved with a mix of washing powder and water. I had one of these battle fish too though I don’t quite remembered what happened to the fish. This is the little lane where all the murals are. Surprisingly, there was hardly anyone there. You can keep going straight on Hugh Low Street. Turn left into a small lane before passing the bridge. You will find the murals in the little lane near the mosque. Alternatively, you can go to Jalan Dato Onn Jaafar via Olympia College. Enjoy your visit ! PS: If you love murals, more Marilyn Monroe murals can be found in and around Burps & Giggles. Such lovely murals! Isnt it great that Ipoh has them too, not just Penang! Will definitely stop to admire them the next time I go to Ipoh, Great pictures! The murals are different lenses to see Malaysia! Surprisingly there isn’t a whole lot of people checking out the murals, not creating a craze like in Penang but definitely worth a visit. Pingback: Murals @ Gopeng, Malaysia | Always Travelicious ! 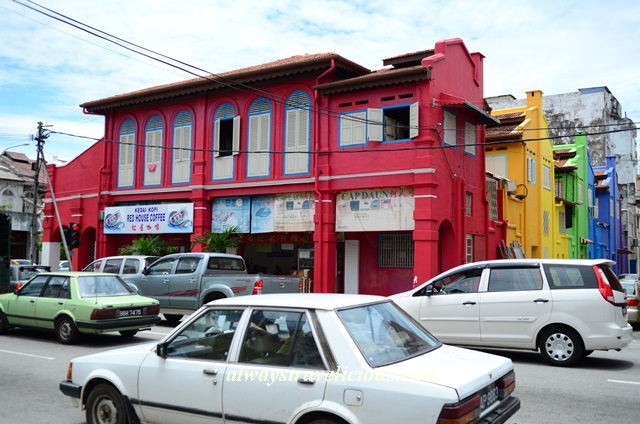 Could you please provide me information on how I could contact any of the mural artist in Ipoh as our organization would like to have the front wall of our place be painted with mural arts. Hi Shima. I don’t have his contact. The artist is an art teacher in an art school in Bercham so maybe you can check out that area. nice! i went there before too 🙂 snapped as well! thanks for sharing! Hi Nick. Thanks for visiting ! I really like those murals , making Ipoh becoming really Artsy! 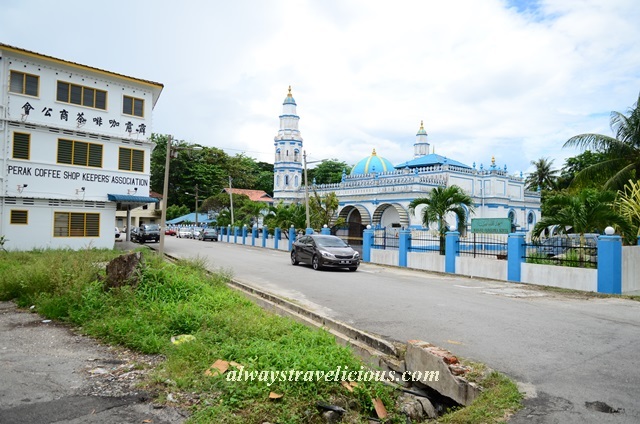 Pingback: Murals @ Gopeng, Malaysia - Always Travelicious !Always Travelicious !